Pediatricians and other healthcare providers play a key role in caring for children with FXS. They can test a child for FXS, order medicines, suggest care options, and make referrals. By giving children's doctors a better understanding of FXS, we hope that they can detect and treat FXS sooner. 1. Are there sub-groups within FXS? We know there are differences between individuals with FXS only and those who have both FXS and autism spectrum disorder (ASD). Because the traits of people with both FXS and ASD tend to fit a certain profile, we call this a sub-group within FXS. However, we know little about other subgroups within FXS. Do other conditions that are common in FXS also form sub-groups? Are there similar biological features in these sub-groups? By answering these questions, we could know more about the overall set of traits we see in FXS. 2. What are the needs of young adults, middle-aged adults, and seniors living with FXS? health and social needs of adults with FXS. 3. What are the health needs of the FXS community as a whole? how people with FXS make health care decisions. 4. What education services, behavior interventions, and medicines work the best? how well services work for preschool and school-age children with FXS. 5. What family factors help individuals affected by FXS? What family factors can lead to challenges? Although several studies have looked at the needs of mothers with the premutation, few studies have looked at why some families have more challenges and others have fewer. Factors that could affect family functioning include things like the number of FX-affected family members or family closeness. We need more studies to know how these factors affect the development or social skills of people with FXS or how well interventions for families might help. To come up with these findings, the research team looked at over 200 recent research articles on the full mutation (FXS). To learn more, see the full article in Pediatrics. Other topics that our research team wrote about for the special issue include the premutation and FX newborn screening. Be sure to check our blog later this week, when we'll recap research on the premutation in Part 2 of our series on the Pediatrics special issue on FX. What do you think is important for children's doctors to understand about fragile X syndrome? 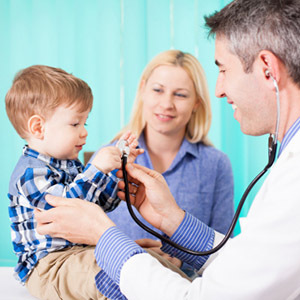 How has your child's doctor helped support you and your family? Please consider sharing your story with us. We hope to hear from you!